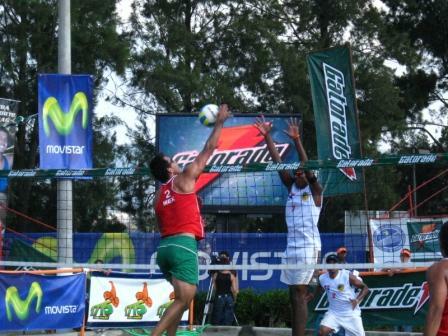 GUATEMALA CITY, Guatemala, April 20, 2008.- Mexico swept the gold medals in the Guatemala�s leg of the 2008 NORCECA Beach Volleyball circuit on Sunday with victories for Juan Virgen-Aldo Miramontes in the men�s division and Bibi Candelas-Mayra Garcia in the women�s side. GUATEMALA CITY, Guatemala, April 19, 2008.- The tandems of Cuba, Mexico, Nicaragua and Puerto Rico..are the semi finalists of the Men�s 2008 NORCECA Beach Volleyball Circuit. GUATEMALA CITY, Guatemala, April 19, 2008.- Cuba and Mexico (2) advanced to the semi final phase of the second leg of the Women�s 2008 NORCECA Beach Volleyball Circuit. GUATEMALA CITY, Guatemala, April 18, 2008.- The Cuban duo of Ion Canet-Nirian Sinal twice had to come from behind and play three sets but at the end emerged with a pair of victories in the first day of action of the 2008 NORCECA Beach Volleyball Circuit. 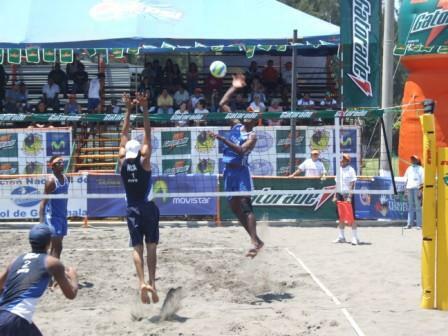 GUATEMALA CITY, Guatemala, April 18, 2008.- Cubans Yoendri Kindelan-Leonel Munder started the 2008 NORCECA Beach Volleyball Circuit with the right foot by scoring a 21-8, 21-15 victory over the Nicaraguans Winston Calderon-Francisco Castro on Friday. 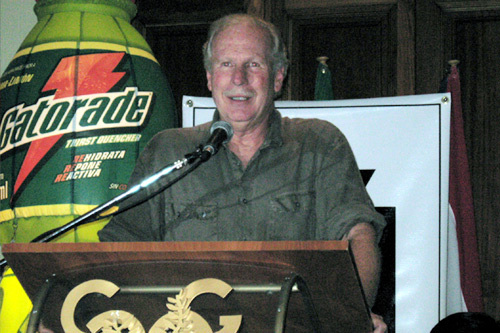 GUATEMALA CITY, April 18, 2008.- A workshop addressed to the media covering the second leg of the NORCECA Beach Volleyball Circuit in Guatemala was conducted by the experienced journalist Roosevelt Comarazamy, the NORCECA Press Officer. GUATEMALA CITY, April 18, 2008.- A record of 16 countries are represented in the second stop of the 2008 NORCECA Beach Volleyball Circuit which start today at Campo de Marte facilities. Seventeen tandems in the men�s division and sixteen in the women�s side have been registered. GUATEMALA CITY, April 17, 2008.- The second leg of the 2008 NORCECA Beach Volleyball Circuit was inaugurated last night with the official opening pronounced by Mr. Alvaro Arzu, Mayor of Guatemala City. HAVANA, Cuba, April 12, 2008.- Cubans Ion Canet-Nirian Sinal and Leonel Munder-Yoendy Kindel�n are preparing themselves for the second phase of the NORCECA Beach Volleyball Circuit in Guatemala City on April 18-20 where they look to maintain their podiums. 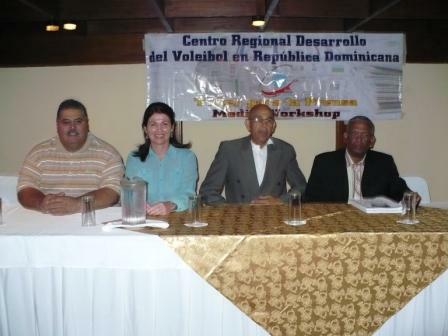 SANTO DOMINGO, Dominican Republic, April 9, 2008.- A workshop for the media covering the beach volleyball tournaments in Guatemala and El Salvador will be conducted by Dr. Roosevelt Comarazamy, the NORCECA Press Officer.